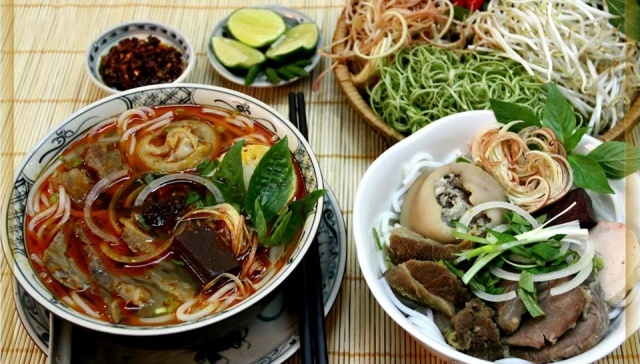 Forget about Pho, when in Hue make sure you’ll try this traditional Hue soup. Must be warned, most of the traditional dishes in Hue are generally spicy. 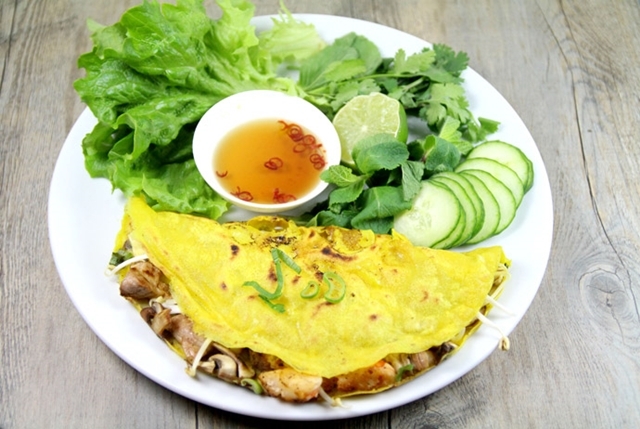 But trying this food will give you a little hint why the Nguyen Dynasty built their Imperial City in the Central Vietnam instead of Hanoi and Saigon. 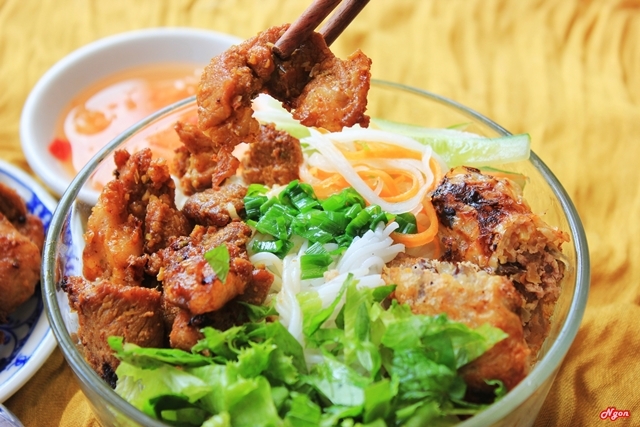 It’s the most famous food in Hue. 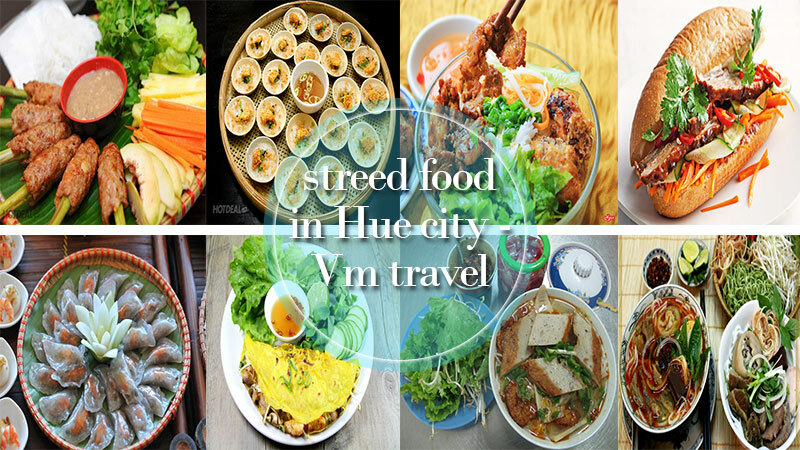 Hue is the best place to taste this delicious food. 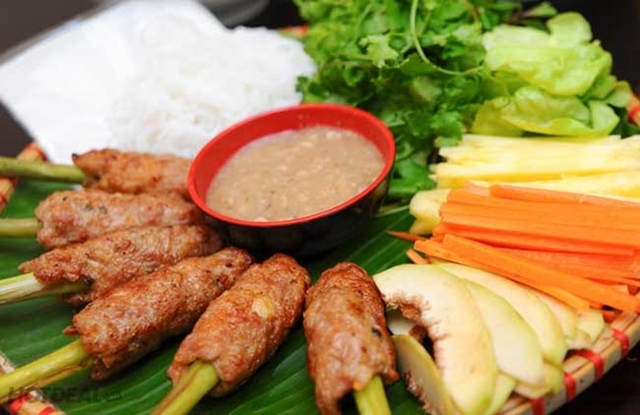 Never leave the city without trying this grilled ground pork on lemon grass stick. Assembling this food is already exciting, what more when you eat it. If you can’t wake early in the morning to try the famous banh cuon then this grilled pork wrapped with Hue Wet Rice Paper will surely make it up for you. Of course it got vegetables, this is still Vietnam. Try this unique pancake of Hue. Hue fried pancake is not usual breakfast pancake being served in the coffee shop. 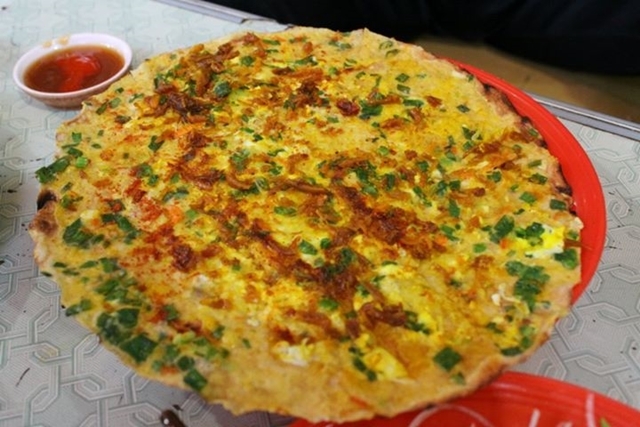 This is made of prawns, pork belly, eggs and bean sprouts. Dip it on a bowl of pork liver-peanut sauce for better taste. This is the famous dry noodles in Hue. If you are sick of eating soup over and over again, then this one food you should try. Enjoy it with or without the pork liver-peanut sauce. Literally means water fern cake. 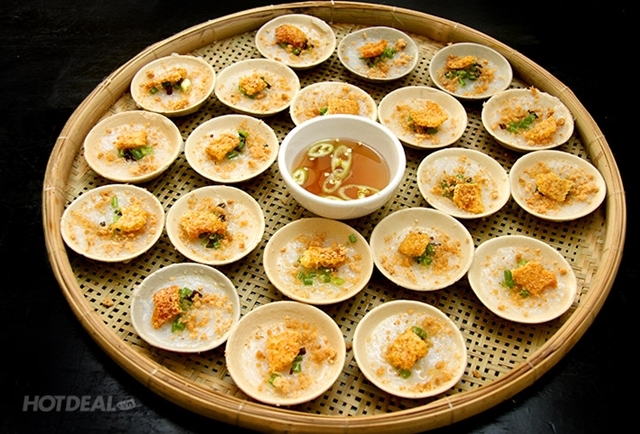 A number of small steamed rice cake topped with chopped dried and fresh shrimp, scallions, mung bean paste and crispy fried shallot. This food comes with a sauce that is made of fish sauce, rice vinegar and oil. This is not necessarily spicy. 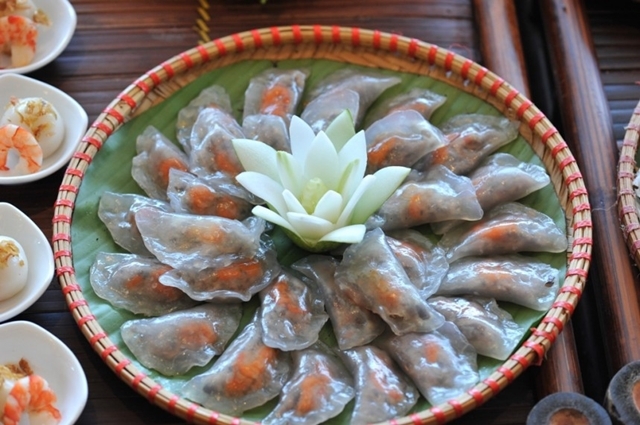 This appetizer is a small, clear-looking, chewy tapioca dumpling that is filled with shrimp and pork belly and topped with fried shallots and served with sweet chili fish sauce. This is another variety of noodle soup in town. 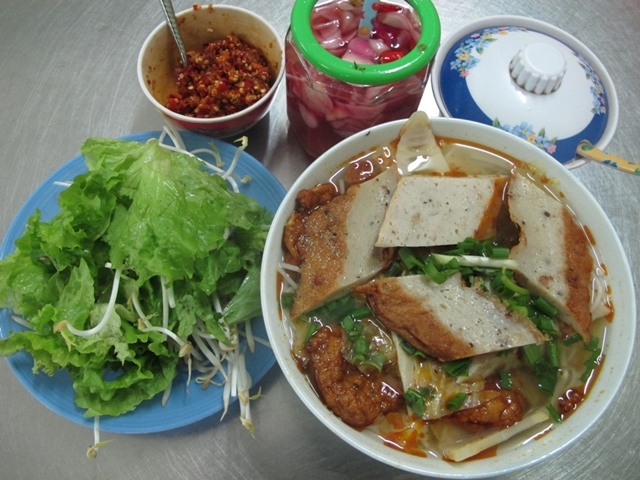 The fish and chicharron or pork cracklings make this typical noodle soup in Hue really good. This is usually eaten by the locals instead of bun bo hue. This is usually eaten by the youngsters in town. 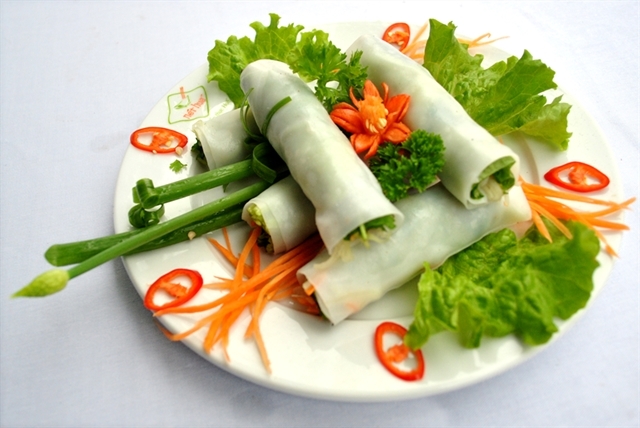 Not a very common food that foreigners try due to the availability of the food only in Hue, Danang and Dalat. Sweet Soup is available all around Vietnam but has different version on each of the region. 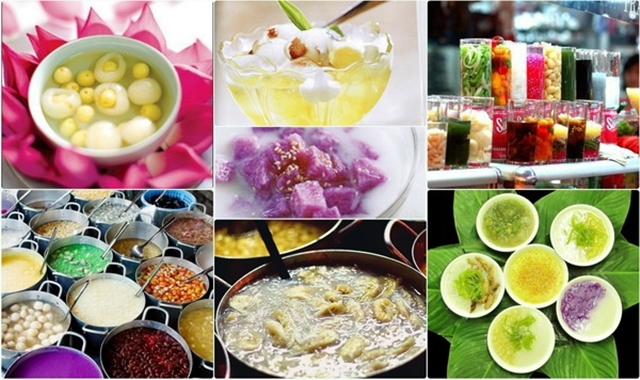 Since the city of Hue is famous for they prepare and make delicious cuisine, then the sweet soup in this city is worth a try. It is cheap so do not fill so much with this, because it is literally a sweet soup.